This is a really exciting post for me to write up today and one I have been looking forward to doing since the owner Steph contacted me about it. I have to say that I haven’t received such a lovely email for quite some time and it really cheered me up to be honest. I’ve been a huge fan of her work and the items she sells for quite a while now but just never gotten around to buying anything. 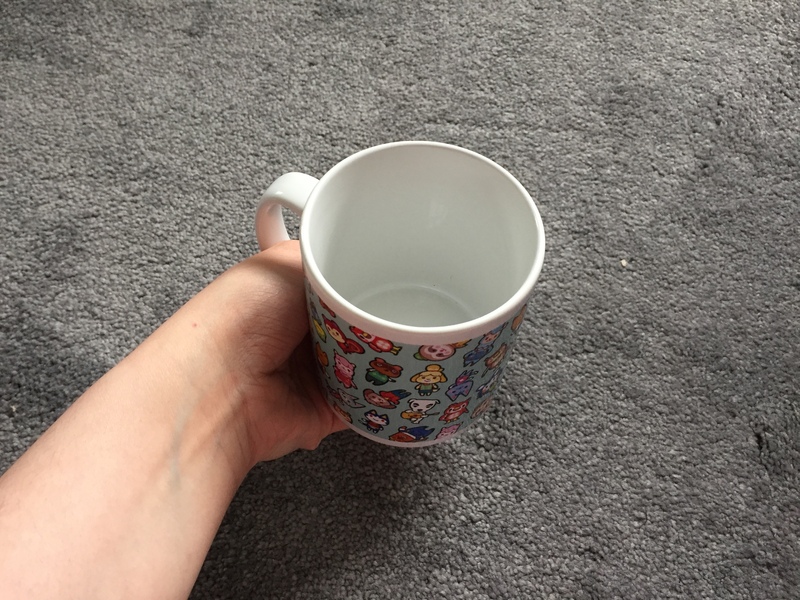 Dane nearly bought me one of her mugs at Comic Con last year but due to lack of funds it didn’t happen. So when Steph told me on her email that she loved my blog and was a fan of MY work it really did make me smile. However when she offered to send me some goodies from her store in return for a review, I was over the moon! Someone whose designs I had loved for ages and who in turn had just told me she liked my blog wanted ME, YES ME TO REVIEW SOME OF HER MERCHANDISE! After exchanging some emails back and forth we finally decided what items I would be sent to review and less than two weeks later they arrived! 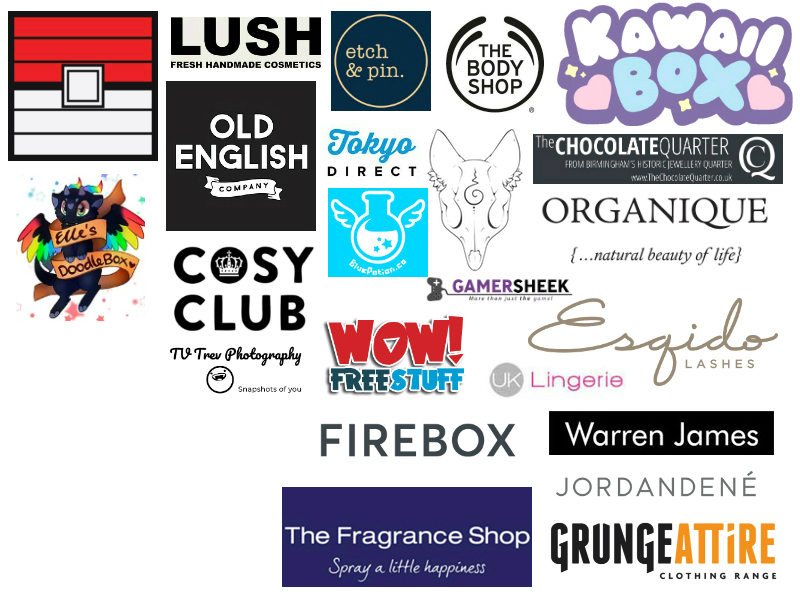 Before I talk about the items I want to talk about BluePotion UK first. It’s entirely run by Steph who designs everything you’ll see on her store as well as packaging all the orders and sending them out to people. 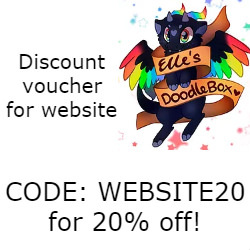 She started BluePotion UK in 2013 and all her artwork and designs are inspired by video games and geek culture, RIGHT up my street! 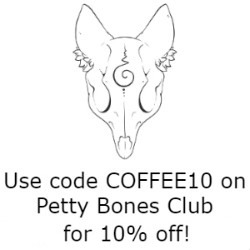 Her store is on Etsy and she features various different designs, as well as all sorts of items that you can get your favourite design on. She has a sort of chibi style to her designs which I really love. 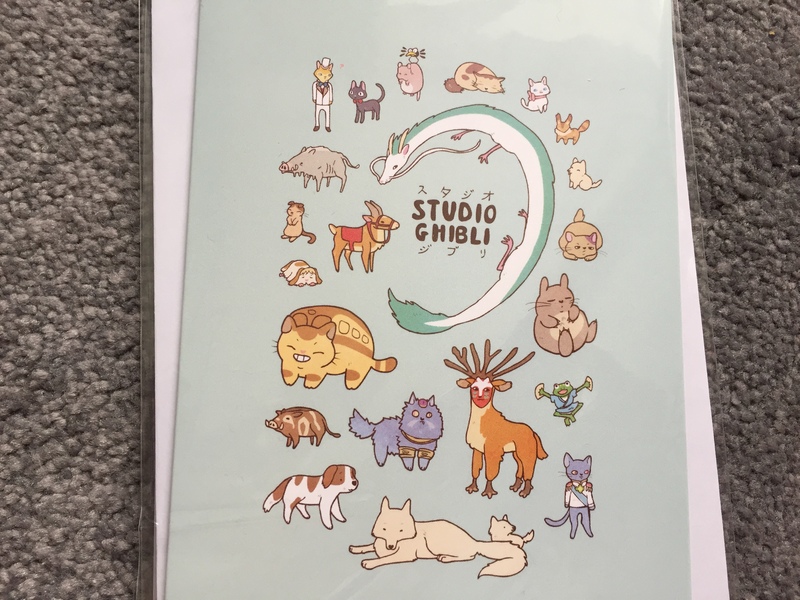 Studio Ghibli, The Legend of Zelda, Pokemon, Animal Crossing, Overwatch, Dark Souls, Miss Kobayashi’s Dragon Maid, Viva Pinata, The Last of Us, Digimon, Kingdom Hearts, Star Wars, 20th Anniversary Pokemon, Final Fantasy VII, Dreamy Pokemon, Undertale, Ghost Pokemon, Disney animals, The Legend of Zelda: Twilight Princess, Eeveelutions Pokemon, Overwatch D.V.a Logo and Studio Ghibli animals. Sooooo you have plenty of choice when it comes to her Etsy store which I think is amazing! Steph’s always coming out with new designs too, which she announces on her Etsy store so you can keep up to date with what she’s doing. I’ve posted down below what designs she has coming out soon! I got home from work to be given the parcel by Dane and it really cheered me up. 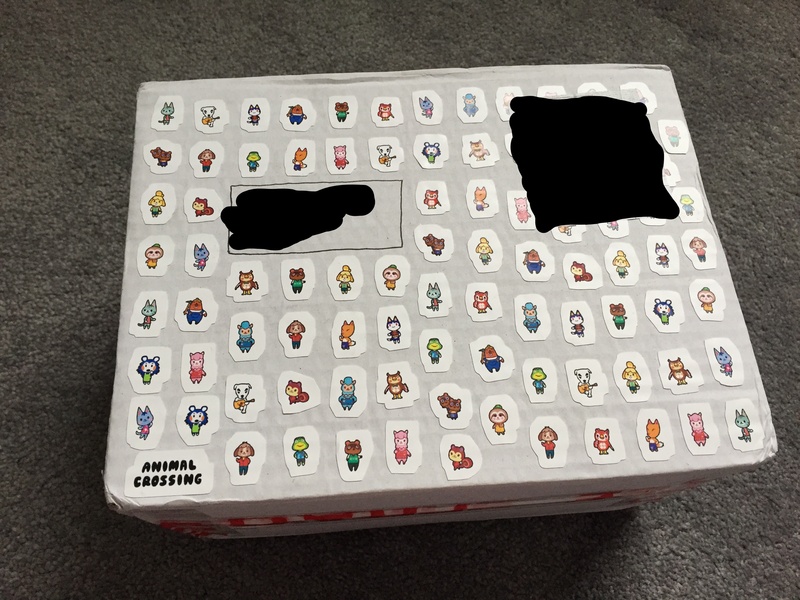 I didn’t know what to expect with it really but the last thing I thought I’d see was a parcel covered in Animal Crossing stickers. OMG!!! I love Animal Crossing so damn much and I’m pretty sure it’s how I discovered BluePotion a couple of years ago when on the hunt for some merch from the cute Nintendo game. The way Steph sent out the parcel was great and better than I could have imagined to be honest judging by how stuff has been sent to me in the past from various places (not meaning items for reviewing, but personal purchases). 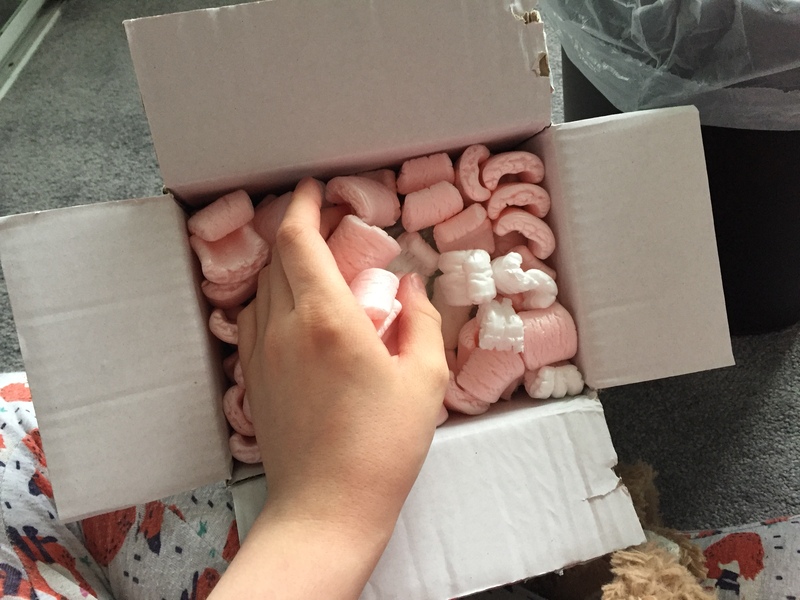 She put some “fragile” tape all around the box and not only did she put the little styrofoam S shapes inside but she also wrapped pretty much everything in bubble wrap! I loved it! This was legit me by the end of the night! FYI if you do not know where this is from you are a loser… 😛 I’ll pop a link here. BUT going back to the packaging! I loved it to be honest and it’s great that Steph takes time to wrap stuff up and make sure everything arrives to her customers intact. Finally I got to take a look at the goodies she’d sent me! She offered to send me a bag, a mug and box set and a phone case. These are 3 of her best selling items, which you can get all sorts of prints put onto! She even let me choose what designs I wanted on each item when was amazing! The first one is this My Neighbour Totoro card*, this is definitely my favourite out of the two! 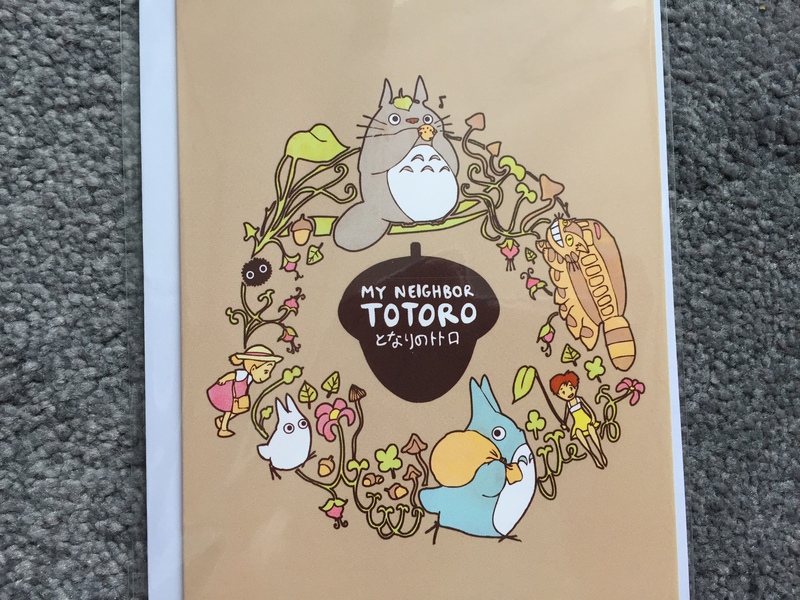 I can never say no to anything with Totoro on and this is one of the nicest prints I have seen for a long time. You can buy this design here. The second card is the animals of Studio Ghibli* which I find to be really cute! I’m not going to lie I never really think much about the animals in Studio Ghibli films… Not like how I do in Disney films anyway! Animals are my favourite in Disney films to be honest so I’m quite surprised I’ve never really thought about it in Studio Ghibli. You can buy this design here. 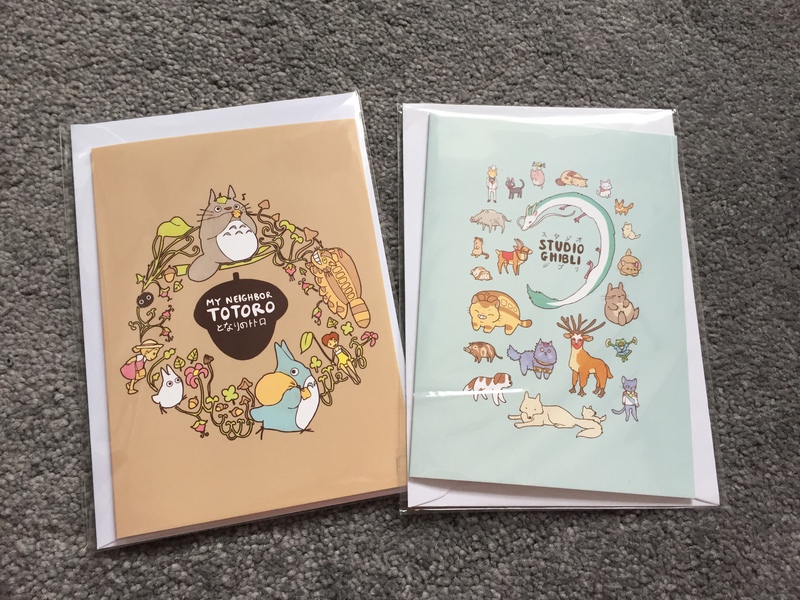 Both cards cost £2.20 to buy which I think is a bargain if you know someone who is a fan of Studio Ghibli films. She uses and adds various designs to cards so there’s all sorts to choose from! She even has a range of Pokemon Christmas cards on her store, which I’ll definitely be getting for this year! Although the first item that I saw in the box was a mug box set, the first actual item I looked at is the bag Steph gifted me. 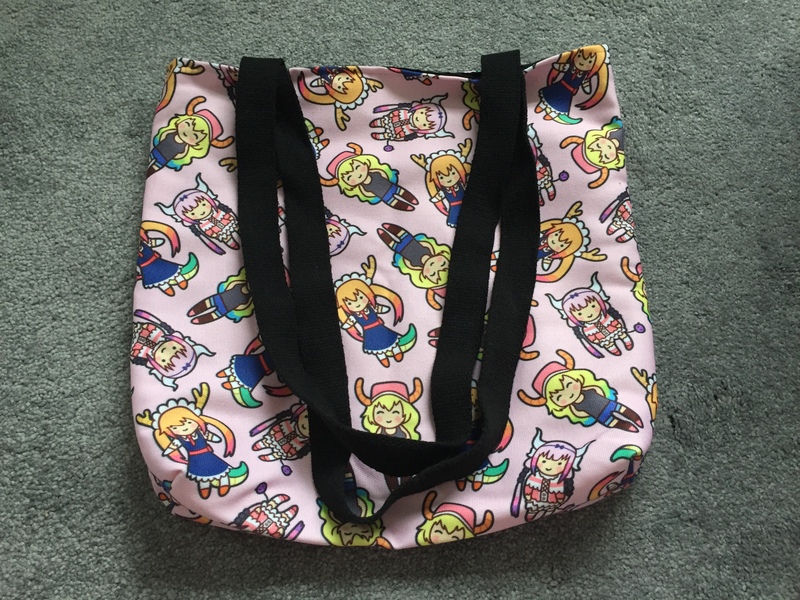 I had had my eye on a particular design on her store since it came out, so when I asked if I could be gifted this bag and she said yes, I was over the moon! 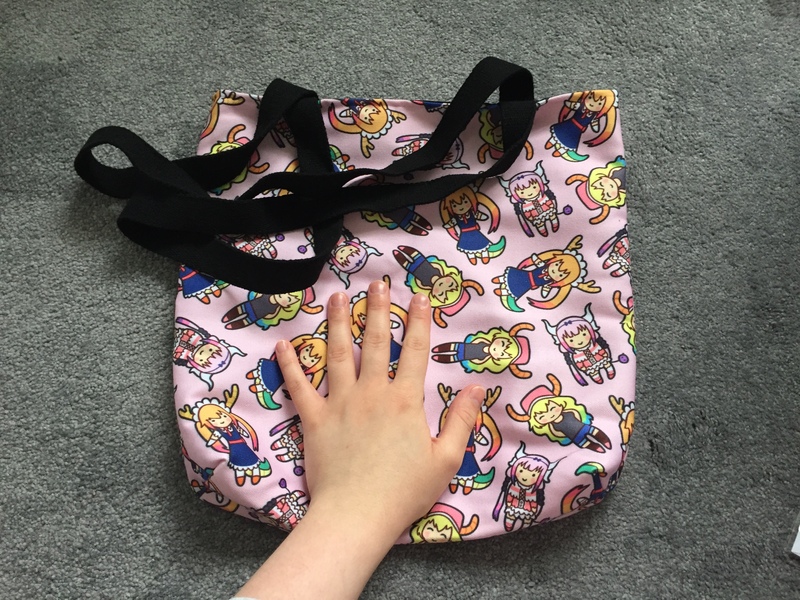 As you can see I picked the Miss Kobayashi’s Dragon Maid bag*! 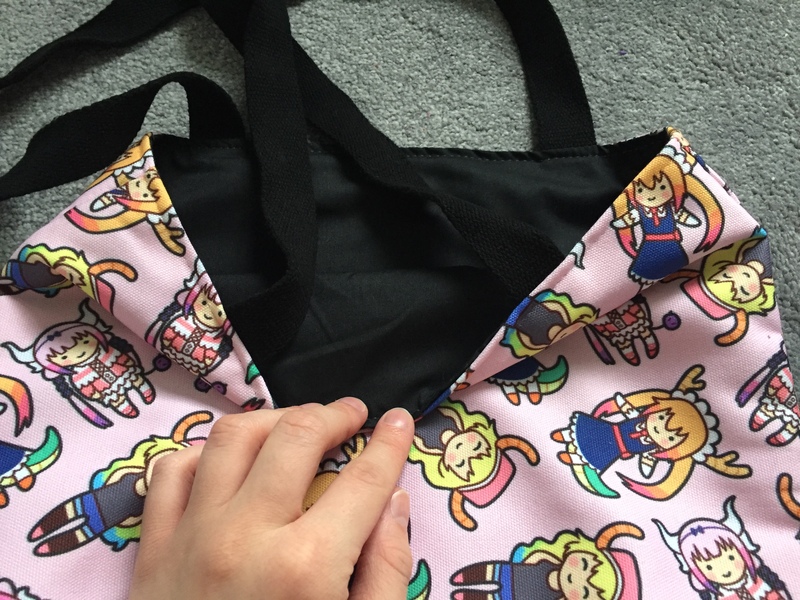 The bag is a tote bag and for the design and the quality of the bag it’s amazing! It doesn’t look huge but it really is a great sized bag for if you want to pop to the shops and just want to take a couple of things. I’ll definitely be using this for my holiday for days at the beach and walking around the shops. It’s perfect! The strap for the bag is lovely and long which means it sits comfortable on your arm when carrying it around. I love that the strap and the inside of the bag is black. 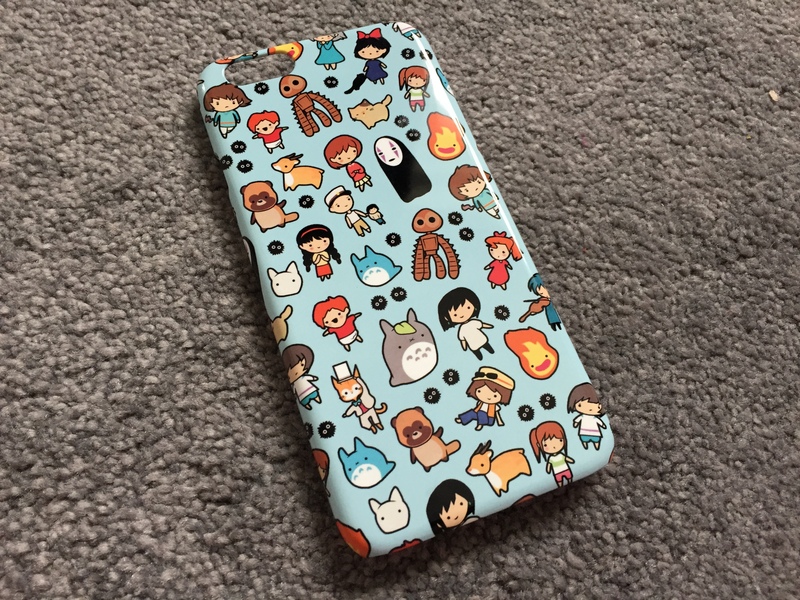 The design on it is amazing as it’s so adorable and the characters are all chibi and cute! The designs are actually bigger than I thought they would be which I think is amazing. I used this yesterday when I went over to Dane’s parents house and it was so nice to use! I haven’t used a tote bag for ages to be honest so it made a real change from a handbag, satchel or backpack. The only problem I had with it is that due to how bad my anxiety can be whenever I was out and about the shops I worried that someone might get their hand into my bag and take my phone or wallet… BUT this obviously isn’t any fault of Steph of course! I may try and add a zip to it in the near future. 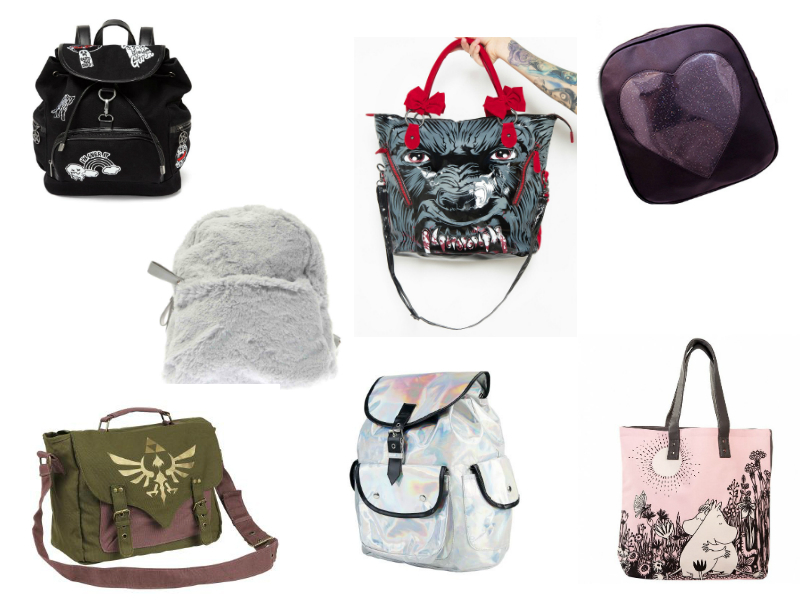 There are so many designs you can have put onto this style of bag! If you browse through the store I’m sure you’ll find something you like the look of. 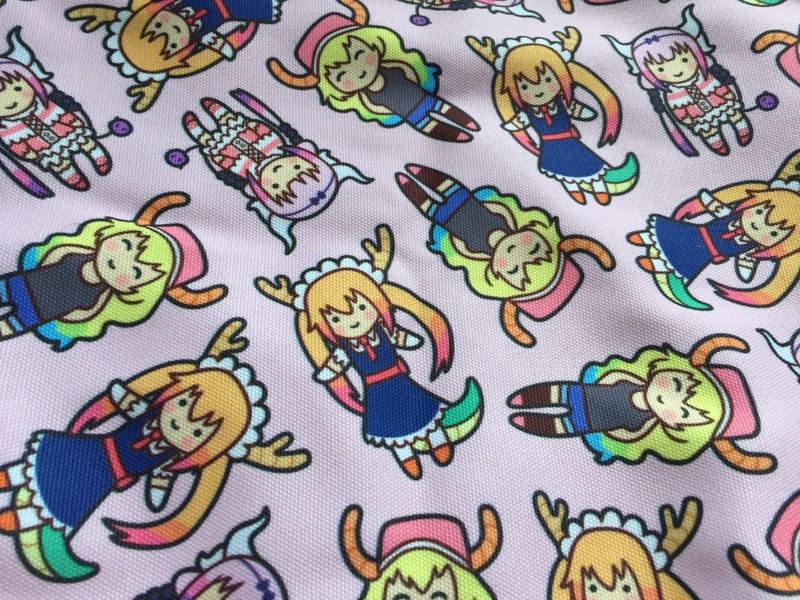 You can find the Miss Kobayashi’s Dragon Maid bag here for £19.99. 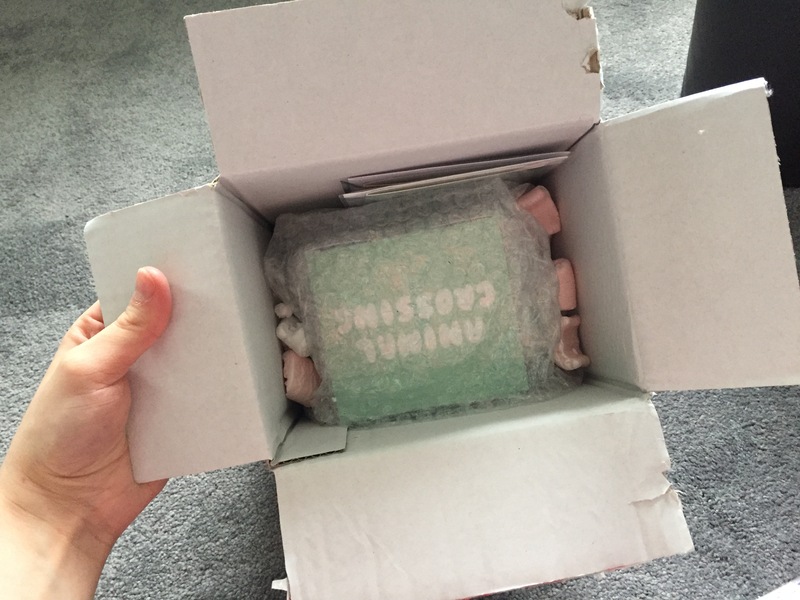 The second item that Steph sent me was a phone case for my iPhone 6. 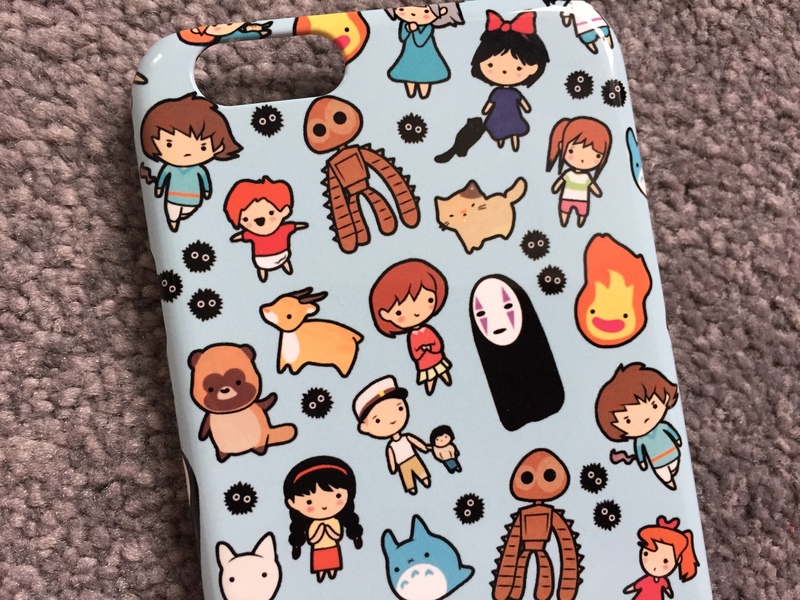 I decided on the Studio Ghibli phone case*. 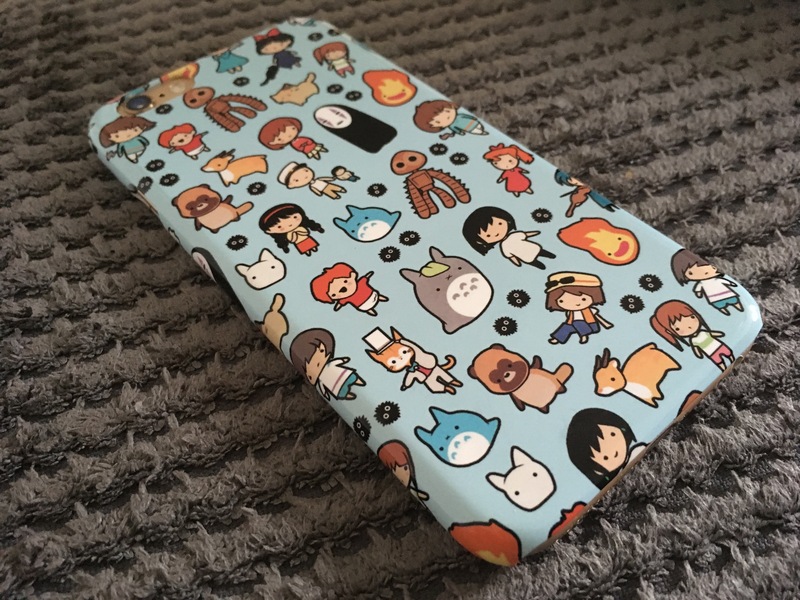 I haven’t bought myself or been gifted a new phone case for quite a long time now and I absolutely love the one I currently own, but it is really nice to mix things up once in a while and get something new. I went for the Studio Ghibli design because as most people know I’m a huge Studio Ghiblu fan so I can never turn down anything like this! I mean look how cute and adorable Steph’s chibi characters are! The little soot balls on it are adorable! Speaking of the print as it is embedded within the case it won’t scratch off which is great. 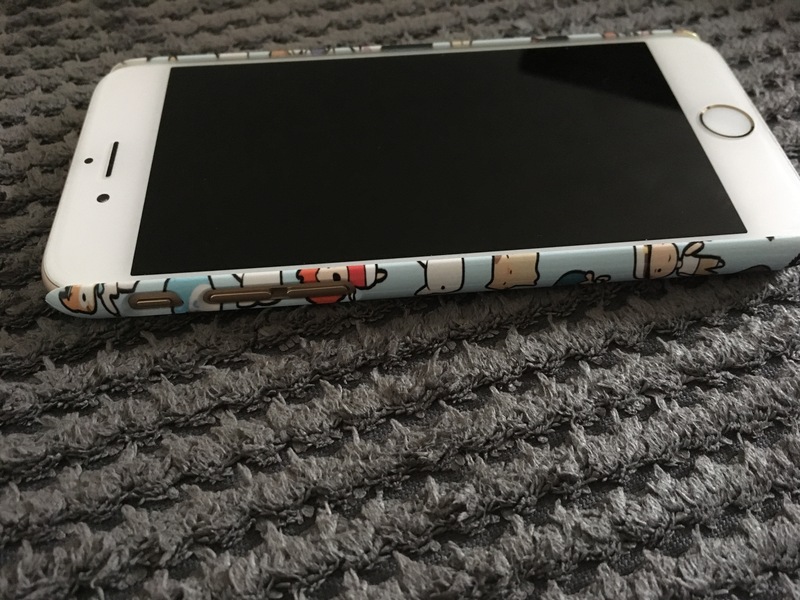 The case itself is great but I’m not going to lie it was pretty hard to get on and off again… But this can be seen as a good thing at the same time as it means durability. It’s not a thick case either so it feels lovely to hold in your hands and doesn’t affect the weight of it or anything either. 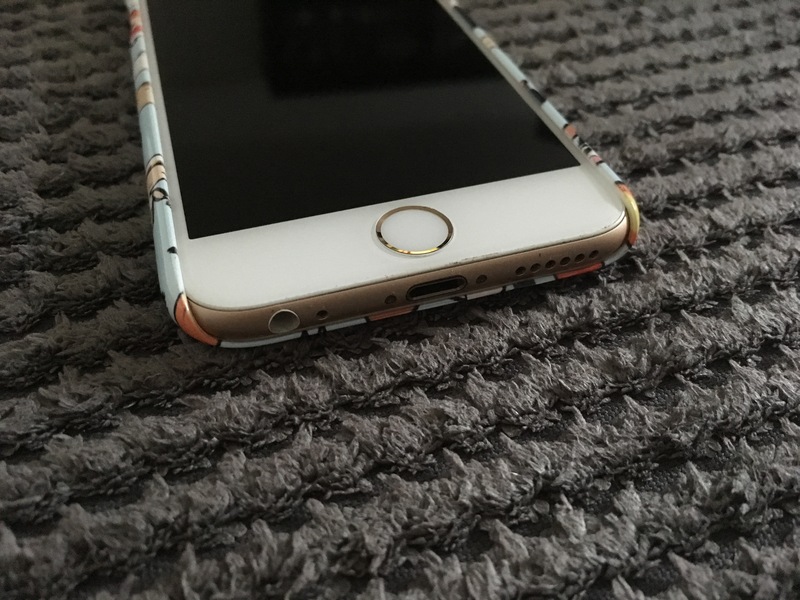 It curves nicely around the whole phone which makes it feel more supported. Like the bag the choice of designs is endless for what you can have put on a phone case! 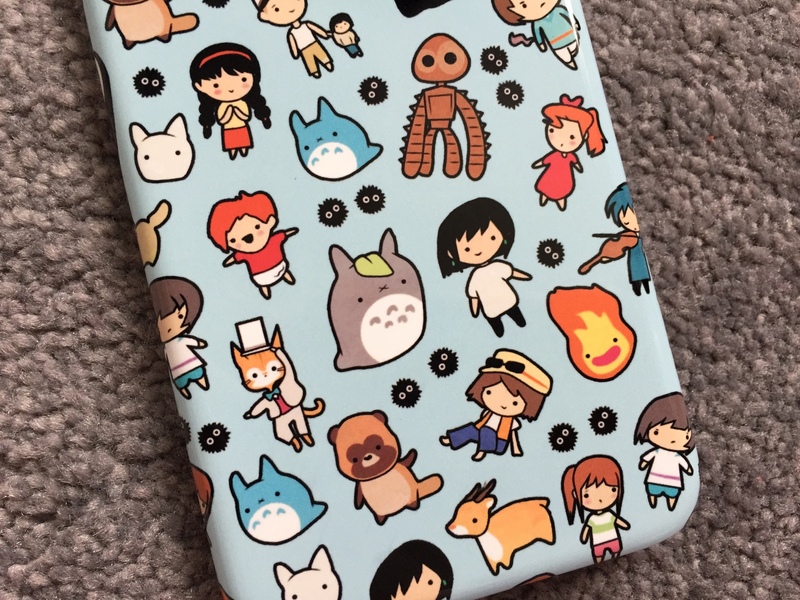 You can find the Studio Ghibli phone case here for £20.99. The final thing Steph sent me and by far my favourite is one of her mug and box sets! It took me ages to decide which design I wanted but I’m so glad I picked the one I did as it made me so happy. 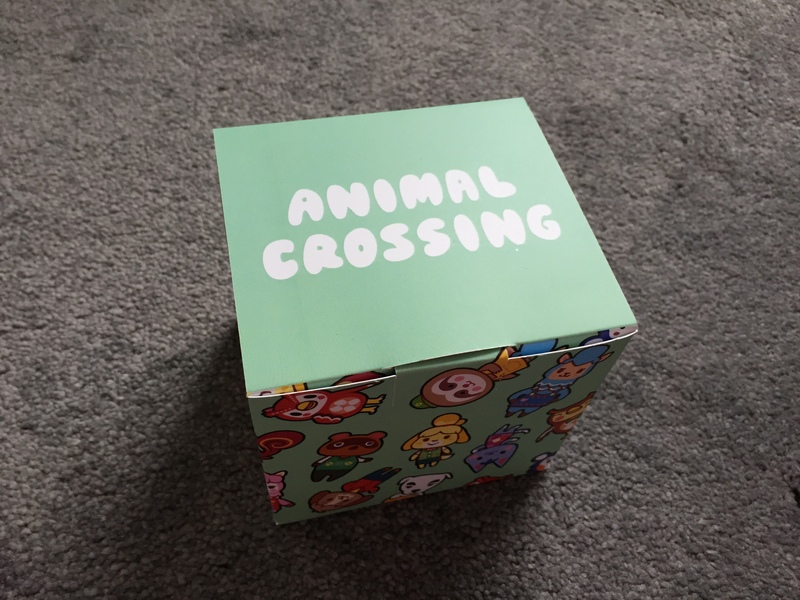 I opted for the Animal Crossing mug and box set*. I have seen the mug and box sets before when Steph was at Comic Con Birmingham in November last year and I don’t recall them looking so good at the time! As much as I love the mug the box itself is absolutely beautiful and it really does show off how lovely Steph’s chibi designs are. 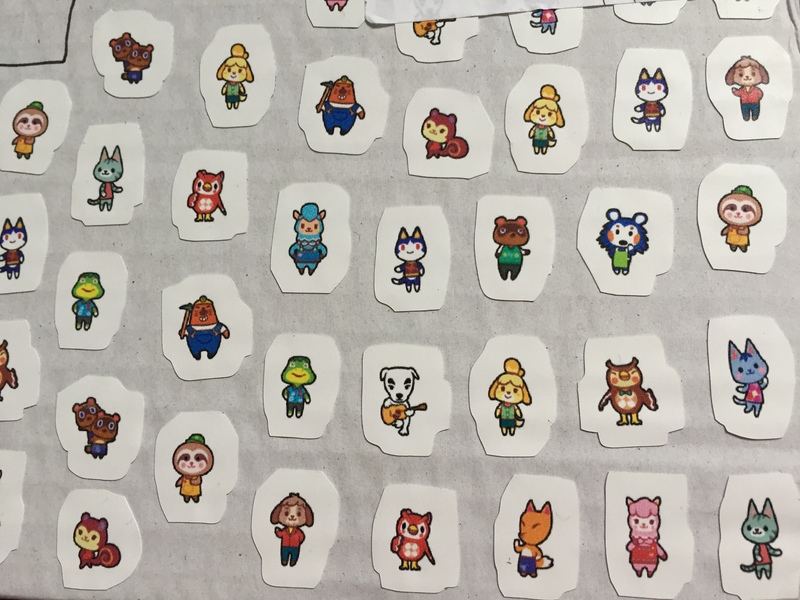 I love Animal Crossing so much so years ago when I was searching for designs I could buy on Etsy I stumbled across BluePotionUK. I have a feeling this is how I discovered Steph’s store in the first place to be honest. 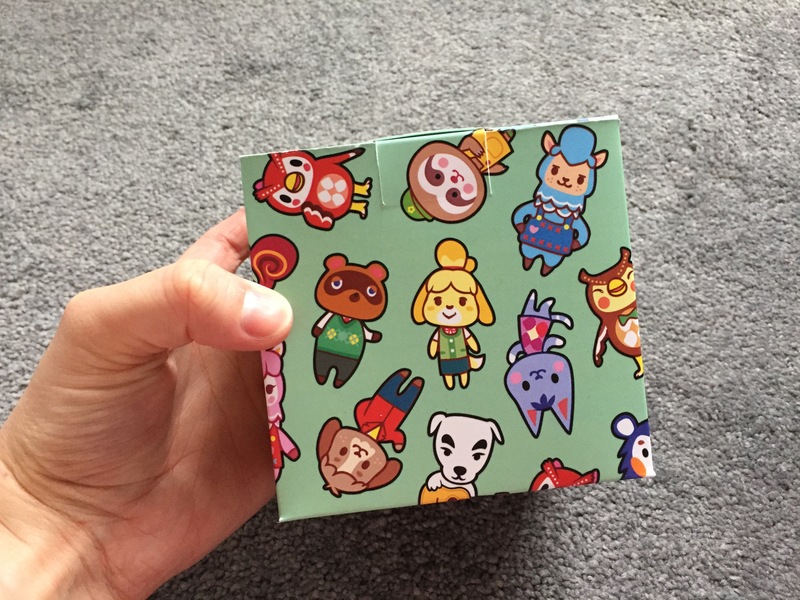 I love the various different characters on the design and if I had to pick a favourite it would definitely have to be Isabelle, who I love to bits! 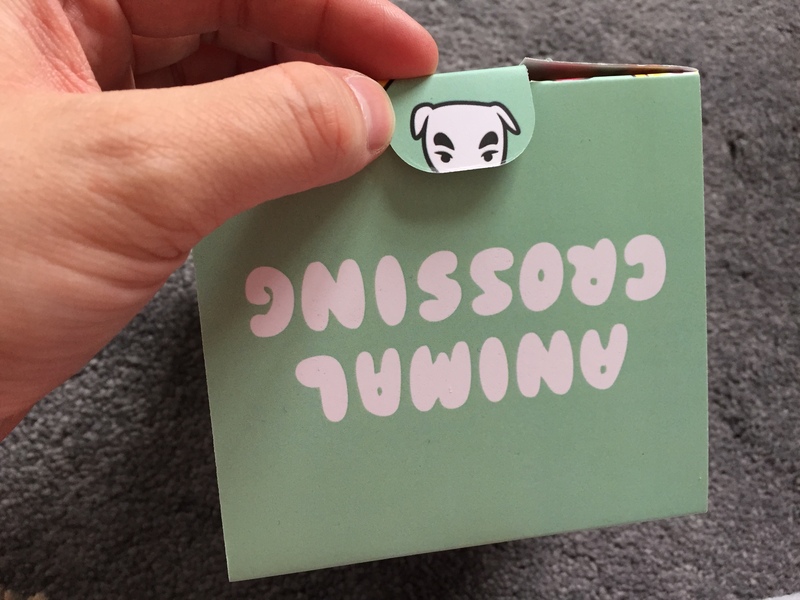 I have to say the one thing I love the most about the box itself is when I was opening it and saw on the tab a little face of K.K. Slider. SO CUTE! 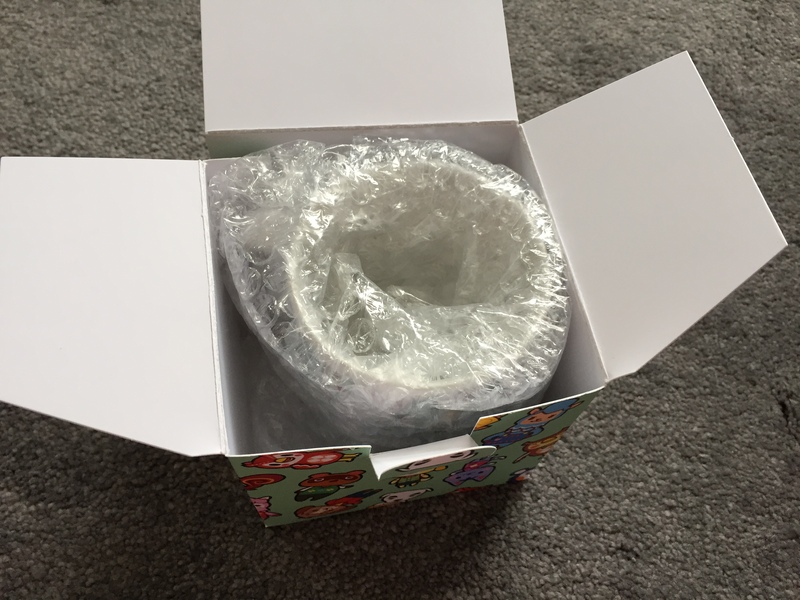 Due to it being a mug however the box itself was wrapped in bubble wrap and the mug inside the box was too, which I thought was great! 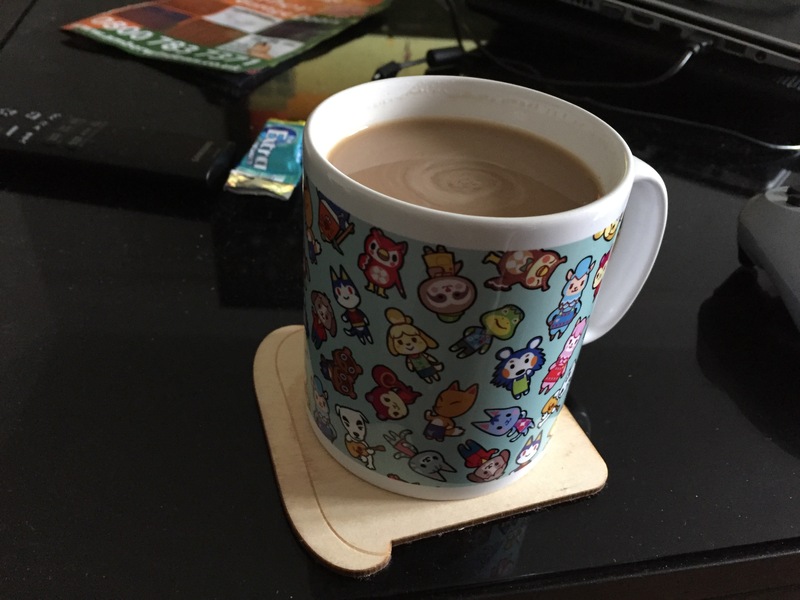 The design on the mug is just as gorgeous as the design on the mug and it actually made me feel so happy to see it! I couldn’t wait to have a cup of coffee in it so I quickly took pictures for this post and ran downstairs to wash it and make my coffee. Which you can see in the picture above. 😛 Since receiving this mug I’ve used it non stop for my hot drinks as it just looks so cute! AHH! 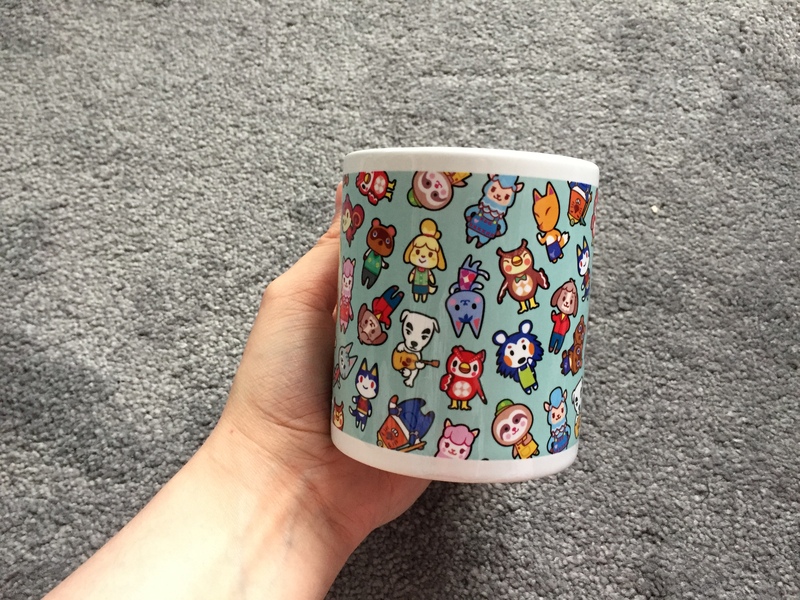 I honestly love the Animal Crossing design so much and I really want to pick up more items in the future from BluePotionUK with the design on. Like both the bag and the phone cases you can get all sorts of Steph’s designs on the mug and box sets. 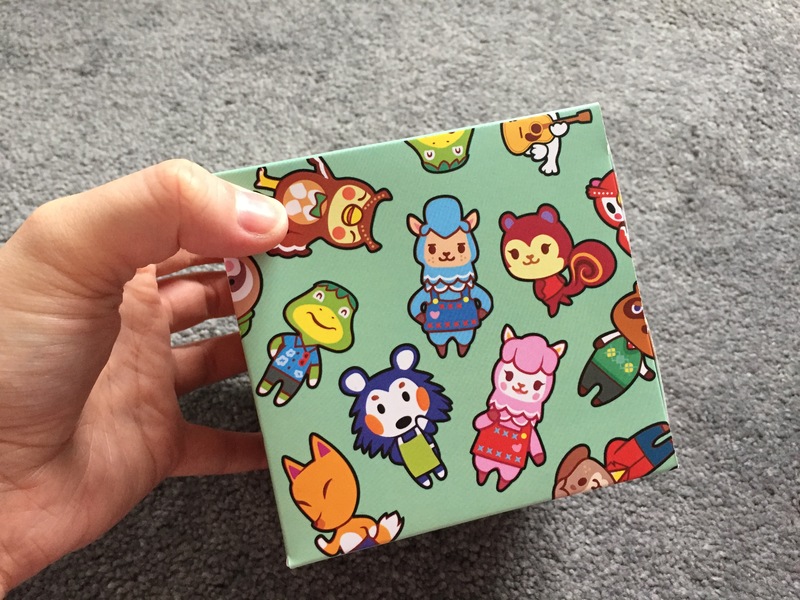 You can find the Animal Crossing mug and box set here for £14.99. I have really fallen in love with my BluePotionUK items and I am craving more now! 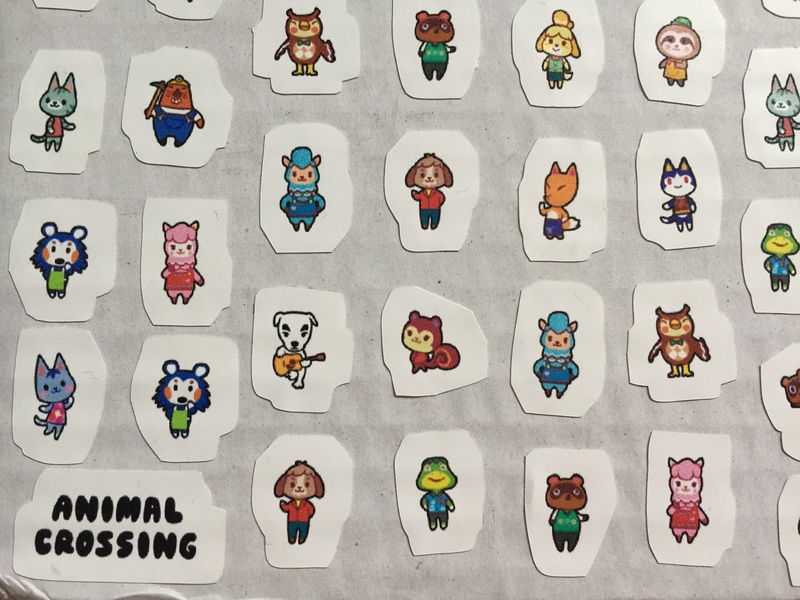 My wish list for the future compiles of the Animals of Disney mug and box set, Dreamy Pokemon phone case, Animals of Disney bag and Animal Crossing bag. 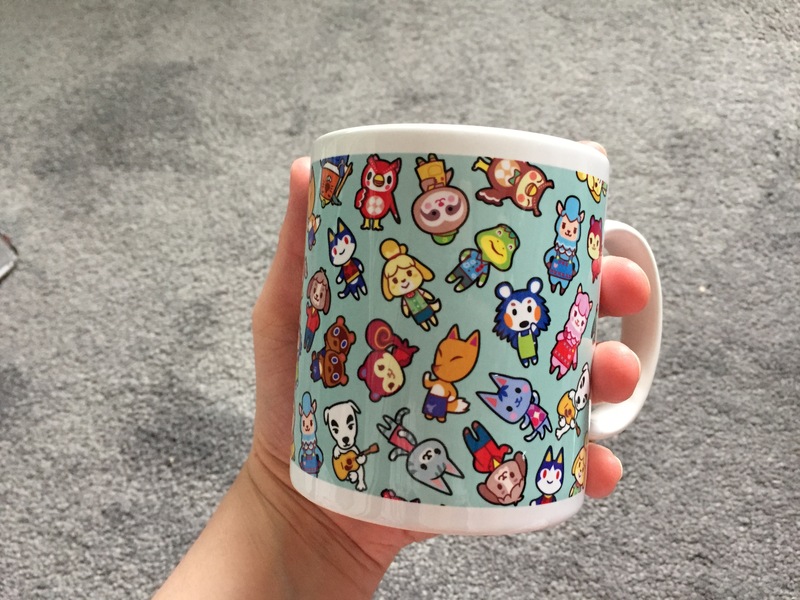 The Animal Crossing design is definitely my favourite and it’s a print by BluePotionUK that I definitely want to own more of. I also really love the Animals of Disney and the Dreamy Pokemon designs too as they look so adorable and different from everything else out there right now. So, what do I think of BluePotionUK? I LOVE IT! Steph’s designs are definitely different from what is out there at the moment which is amazing. 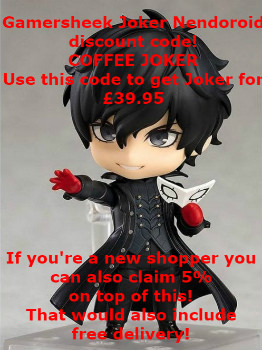 I find so many people are somewhat similar to one another but her chibi designs are definitely unique and she has something that any geek or nerd will love and want to buy. I especially love how she offers most of her designs on pretty much all of the items she stocks. 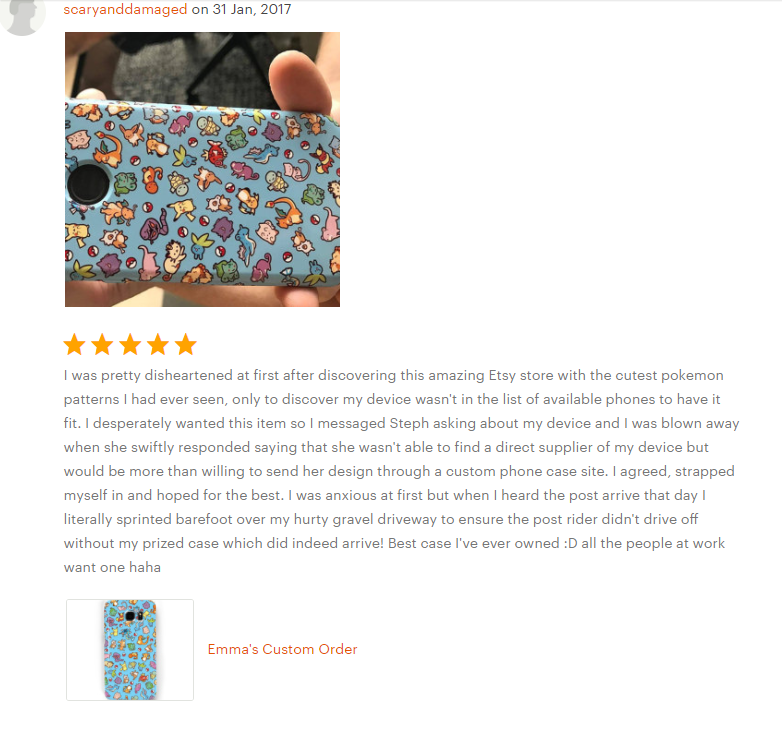 From looking over reviews on her store she’s gone out of her way to make sure her customers get what they want, including items she doesn’t state she sells, different coloured bags for example, as well as putting designs on items she wasn’t at the time stocking. Steph is really approachable, replies quickly and is so lovely and easy to talk to! 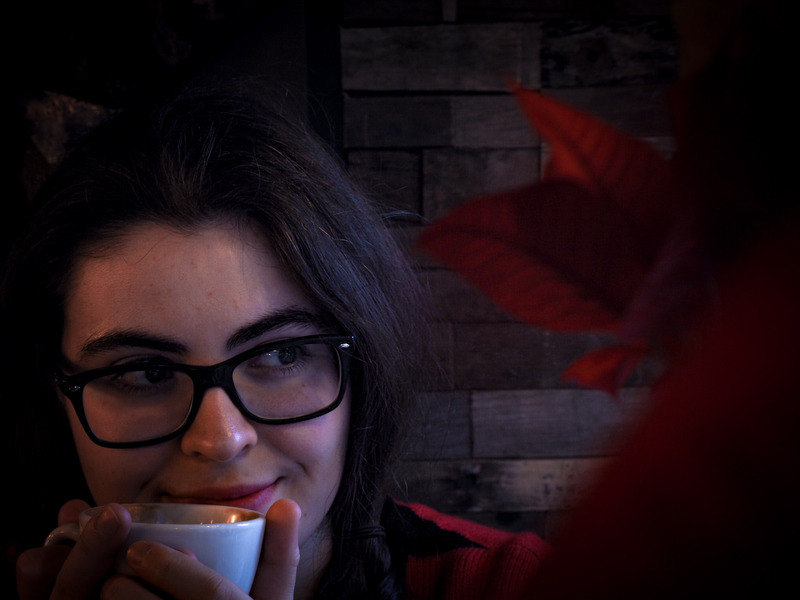 She’s definitely one of the nicest people who has reached out to me to work on blog related stuff for her and it has been a pleasure of working with her. Are there any designs I would love to see her do? OH HELL YES! I would love for her to do a Pokemon Mew print, the K-ON! girls, Haku and Chihiro, dog breeds, Persona 5 and many more! I want a say a massive thank you to Steph for approaching me to work with her as it really has cheered me up to do this post and her items are gorgeous. I definitely recommend her store if you love all things geeky! 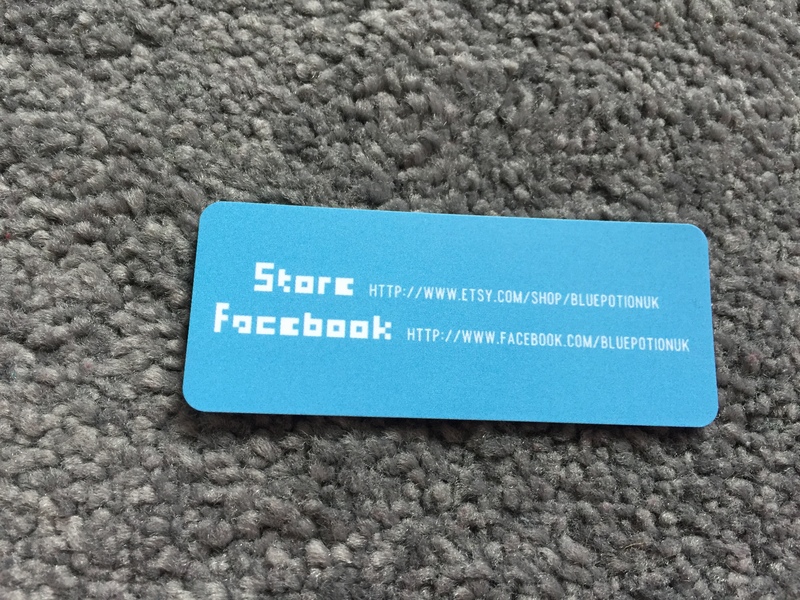 You can find BluePotionUK here, as well as the Facebook page here! 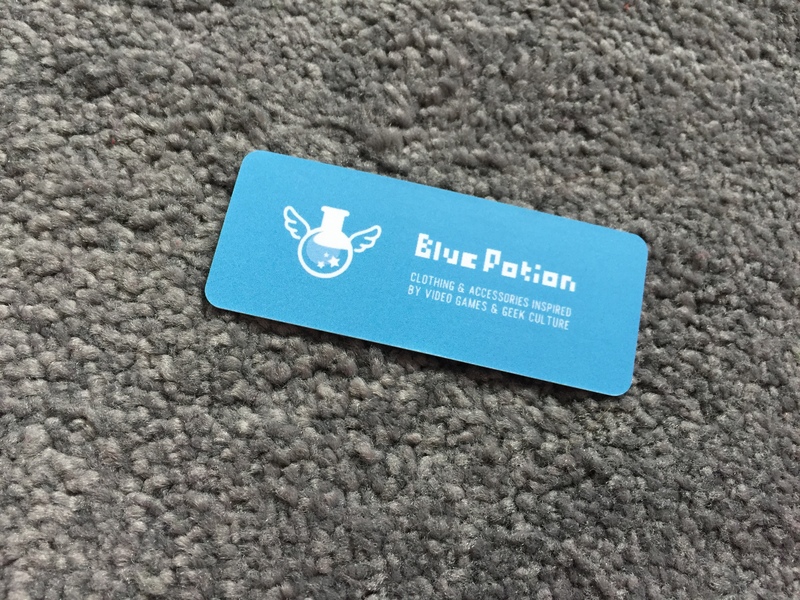 Will you be buying anything from BluePotionUK? If so what will you pick up? If you already own any goodies what do you have? Make sure to let me know in the comments down below!